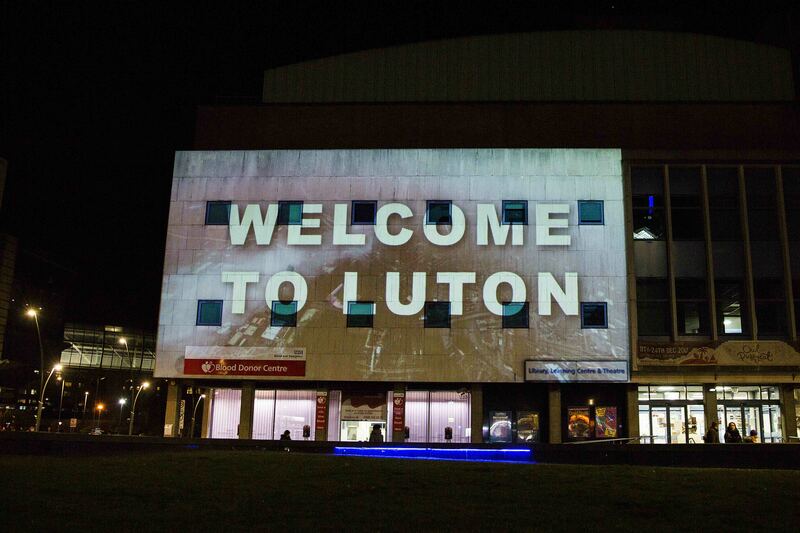 It is official – Luton town centre boasts an ‘entertaining’, ‘diverse’, ‘safe’ and ‘enjoyable’ nightlife. Judges from the Association of Town and City Management (ATCM) have just awarded Luton town centre ‘Purple Flag’ status – a sought after accreditation for towns and cities that provide a vibrant mix of dining, entertainment and culture, while promoting the safety and wellbeing of visitors and residents. Luton is now one of over 70 town and city centres in the UK and Ireland with the award, which is comparable to the ‘Green Flag’ for parks and ‘Blue Flag’ for beaches. The assessment by ATCM judges on 7th April included a tour of the town centre and key businesses, including The Mall Luton, The Galaxy Centre, University of Bedfordshire Student Union, The Red Lion, The Bear Club and G Casino. Presentations by Luton Borough Council, Bedfordshire Police, Noah Enterprise, Luton SAFE and Luton Business Improvement District (BID) focused on safety initiatives, police presence and enforcement, art, music and cultural offer and cleanliness campaigns. Roy Greening, BID director and general manager of The Mall said: “Receiving Purple Flag status for our town centre’s evening and night time offer is a massive boost and we are absolutely thrilled with the outcome. Achieving this accreditation is a result of many months of hard work by key town centre organisations and businesses, all working together to prove how our town meets stringent standards of excellence in areas like the safety and wellbeing of visitors. Cllr Hazel Simmons MBE, Leader of Luton Borough Council said: “This is excellent news for the town. We’ve demonstrated that we offer a varied choice of leisure and entertainment for a diversity of ages, groups, lifestyles and cultures, both during the day and at night, and we’ve shown that residents can get home safely after an evening out. The town centre tour by ATCM judges also included a visit to Desert Rose – one of Luton’s popular non-alcoholic restaurants, visits to the town’s diverse live music venues, an Operation Nightsafe briefing, a demonstration of the Councils CCTV, and visit to Luton Culture’s Storefront. Keep Luton Tidy and Keep Luton Safe campaigns were also showcased as part of the assessment. The Purple Flag programme is managed by ATCM which works alongside a partnership of key stakeholder groups backed by Government, police and businesses. The Purple Flag application was funded by the BID and jointly prepared by all partners with Luton town centre BID and Luton Borough Council leading. It demonstrates a commitment to ensuring Luton town centre is a clean and safe place for people to enjoy and come together, which is part of Luton Borough Council’s 1.5 billion Luton Investment Framework.